Yes, indeed! They constantly move from point A to point B and, while on the route, they navigate by feedback and not by sight. Departure and Arrival points. Route. The submarine has precise departure and arrival coordinates described by their respective geographical longitude and altitude with clear milestones to pass through. Considering the urgency to reach its final point and the available resources of fuel and air, the underwater ship is moving with a pre-calculated speed. The enterprises also have interim goals, should know what resources are available to reach the desired state and tries to ration them along the “travel”. While traveling, the submarine’s crew must constantly realize its current position on the map to make sure it is sticking to the approved course. Sophisticated underwater GPS technology is used for that. In parallel, to determine its current position, the enterprise digs in its own internal databases to compare “as-is” with “must-be” states and realize if it is sticking to the desired course or it’s deviating from it. And if deviating – is it over-performing or under-achieving. For the submarines, the self-pinning via GPS coordinates is very important. The urgency to know the exact position is greater with the higher speed the vessel moves. And modern submarines move 3 times as fast as the post WWII machines. Same with the enterprises – with ever increasing external environment dynamics, the urgency to know exactly whats around the enterprise has never been greater. The flow of data and its propagation within the enterprise changed enormously over the last decade. As with the submarine crew that cannot allow itself is to lose touch with its immediate physical surrounding, the company teams must be constantly aware where their “vessel” is heading to – as both of them are travelling in an environment of total darkness and rely on feedback machines to know if there are hazards on the the course. A small but critical devise, called “sonar”, is the main feedback machines for the submarine. 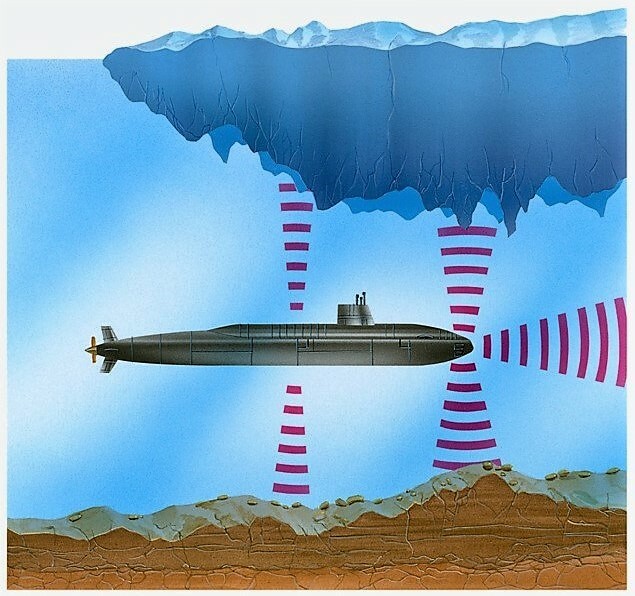 It is a smart acoustic devise that continuously sends out sound waves, intercepts the reflections and, by processing the reflected waves, determines if and what objects are there in close proximity to the submarine. The enterprise sonar is called “external intelligence”. It varies widely from company to company in how it is organized, how it functions, what tools it uses and how it is called. But its there. It tries to capture signals from the external environment relevant to the enterprise in order to uncover potential threats and opportunities. The companies that don’t have it – fail! Or crash. Because everyone is aware of that fact – every company makes sure they use a “sonar”. And what if I tell you that the enterprise sonars “available in stores” right now are obsolete…? To make the point we will use an analogy: the external intelligence practices used in enterprises right now are as if one fits a WWII sonar to a modern submarine. The small difference between both is… their speed. A contemporary submarine travels twice as fast as a WWII submarine which had a top speed of about 39 km/h. A WWII sonar would be irrelevant if fitted to a modern underwater ship. Yes, it would deliver feedback about the immediate environment, but it would be hopelessly belated – thus leaving no reaction window to the crew if an obstacle is spotted on course. Moreover, modern sonars make 360 degree scans while older ones performed single-direction frontal scanning which allowed them to spot something only if it was on the immediate path of movement. We, at Sensika, aim to rectify this – give businesses the fastest and most comprehensive external intelligence solution. See it yourself – its awesome!